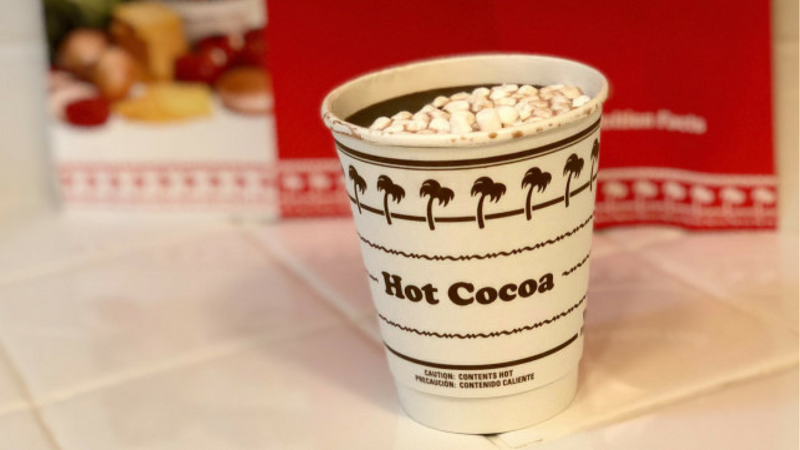 LOS ANGELES -- It might not do you any good out east in this frigid weather, but there's a "hot" new menu item at In-N-Out to go alongside your double-double and animal fries: Cocoa! In-N-Out, known for its burgers, fries and milkshakes, hasn't introduced a new item to the menu since lemonade was added 15 years ago. The Irvine, California-based company said the 8-ounce cup of hot cocoa will have a permanent spot on the menu. This is actually the return of cocoa, according to In-N-Out President Lynsi Snyder. "My grandparents, Harry and Esther Snyder, served it for many years beginning in the 50s," she said. "I'm not sure how it fell off the menu but it's part of our culture and something special for kids, and I'm happy that we're bringing it back."